Hi all, finally I made time to make a blog post again. Currently, I went out of town like a lootttt. If you guys following my instagram account maybe you can see some of my pictures that I've been traveling to some places recently. I feel so happy that now finally I am back to Jakarta with bunch of stories and pictures to post. Guess what?! I couldn't feel happier when I got my Luxola package brought to me right in front of my door the next day I'm back to Jakarta. Yes! 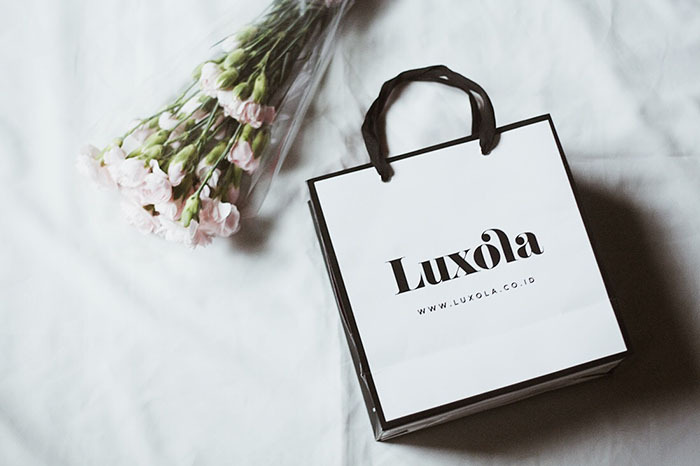 This time I'm going to share about my shopping experience in a one stop online shopping center in Southeast Asia for beauty products that is Luxola.co.id. I'm quite busy and very mobile lately so I don't really have time to visit mall to buy things that I need and online shopping is truly a saviour for me. 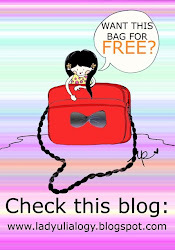 Special for make up lovers there is a good news from Luxola. 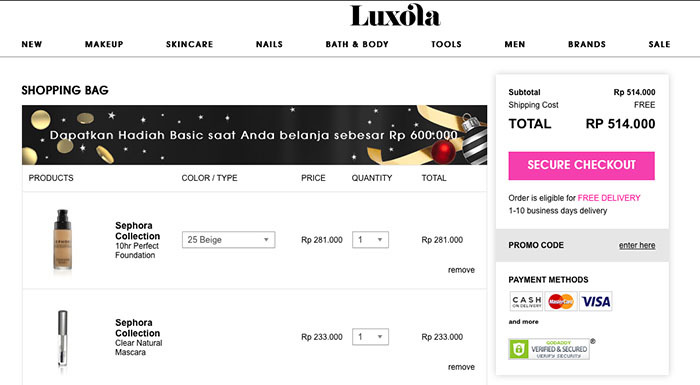 Now you can buy Sephora Collection online at luxola.co.id Oh, I am so excited about it! Sephora is one of my favorite brand for beauty products and I got so many products list to try under this brand name. 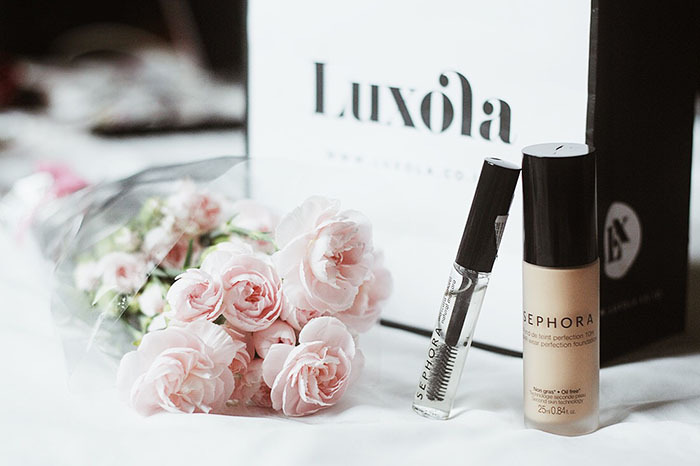 So when I heard that I can buy Sephora Collection online at Luxola I directly went to Sephora section on Luxola website and browsed through the pages of Sephora products religiously. I ended up with two of my top list products: 1). Sephora 10hr Perfect Foundation and 2). 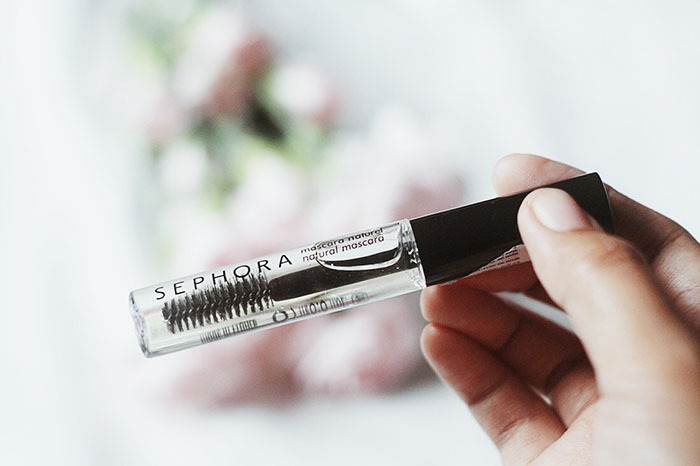 Sephora Clear Natural Mascara as you can see below. I love to shop at Luxola.co.id since it has minimalist layout and clear also easy navigate to shop. The Sephora brand itself has so many type of products that you can choose on the website. I also feel safe to shop there since Luxola only sells 100% original and BPOM-certified products. Luxola.co.id also give free shipping for a minimum spend of IDR 200.000,- Their customer service also very helpful and fast response when I called their call center to change my payment preferences from bank transfer into COD (Cash On Delivery). I also can track my delivery status easily right from my mobile phone. 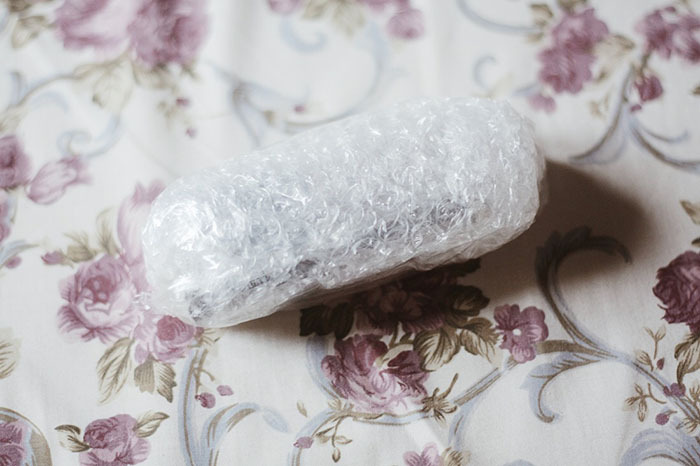 The product came inside bubble wrap. Yayness! 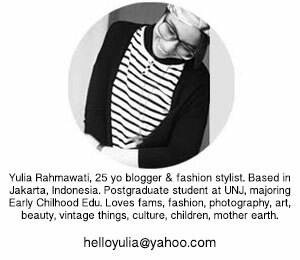 Now I wanna give a quick review about Sephora products that I bought from Luxola.co.id. 1. Sephora 10hr Perfect Foundation. I choose "25 beige" shade since I heard that this shade is perfect for average of Asian skin tone and yes it is really match with my skin tone though my skin is a bit darker after travelling a lot. 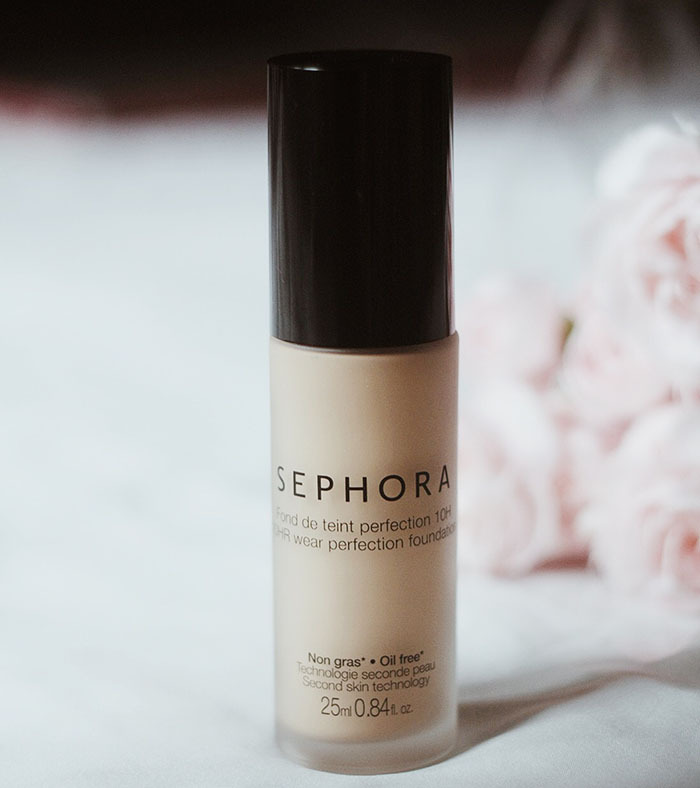 This foundation corrects my skin tone and delivers natural and flawless finish. It reduces the apprearance of blemishes and dark spots on my face. I tried this foundation without put powder on my face and quite surprise for the result, this foundation stays for 10 hours on my face and did not make my face looks shiny like some other foundation after a super hectic day outdoor. The price is also affordable for all the miracles that this products gives to me. 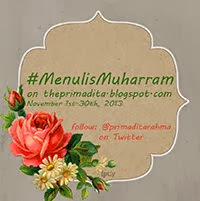 Very recommended! 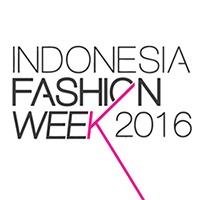 Overall, I'm so happy to shop at Luxola.co.id. 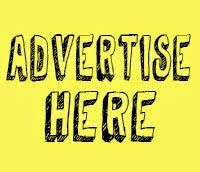 It is easy, fast, safe, nice service with affordable price. 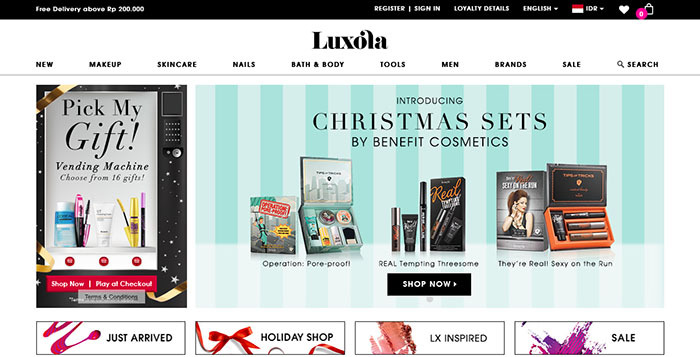 Luxola also have loyalty program as well named LX Insider. You can collect point from shopping and writing product reviews and redeem the collected point for shopping at Luxola. Now it's your turn. You can feel the experience to shop at Luxola as well and get 20% DISCOUNT for first time shopper using: ILX-YULIA promotion code. This promotion code only valid until 31st December 2015 and not valid for non-discountable brands. PS: Please wait for my complete review on each product that I bought on my next blog post. Would love to try the foundation. aaaa Luxola ♥ suka banget sama e-commerce satu ini kak karena service-nya the best!